If the act of questioning is so important to problem-solving and creativity, how do you teach “how to think in questions”? We make assumptions that questioning is automatic. Experience tells me that it isn’t. While there are many layers to great questioning, small activities interspersed and integrated into a regular day may provide connections more than a single lesson or unit (just how would one do a unit on questions?). This activity is partly based on the flashcard and group generation method. It can be used any time you wish to generate questions from different lenses. For each group, hand out a bunch of flashcards that have a single word on each card (How..Why..What..Who..Where..). Provide a topic of study (eg. cetaceans in captivity, pipelines, etc.). Have each group generate questions under each flashcard (these can be scribbled on strip paper or post-it notes). Place the same question terms on classroom walls. Have students collect and collate all of the questions under each term. They can categorize as to ‘fat’ or ‘skinny’ questions and why. Consider gallery walks to generate broader questions. Students can then write a post culminating their thoughts. 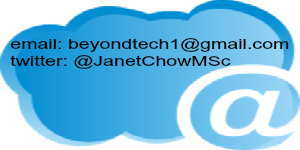 Or how about using a technology platform like Google Hangout to connect with another classroom in a different location and participate in a ‘Mystery Hangout’. To do this, teachers might create a class account in Google. Generally the process is a merge between 20 questions, communication and battleship. The goal is to practice developing great questions to cast a better net of answers. Once questions are generated, the teacher sets up a date/time with another teacher to have the hangout. (Consider time zones if connecting to other provinces or countries.) A question is posed live to the other site. The response gained offer clues to the answer from the other site. You can certainly tell that pre-practice of questioning is a must before connecting online. Imagine using this process to gain information on geography, history or science. Using Google Hangout can open the door and flatten the classroom walls creating a connected environment. 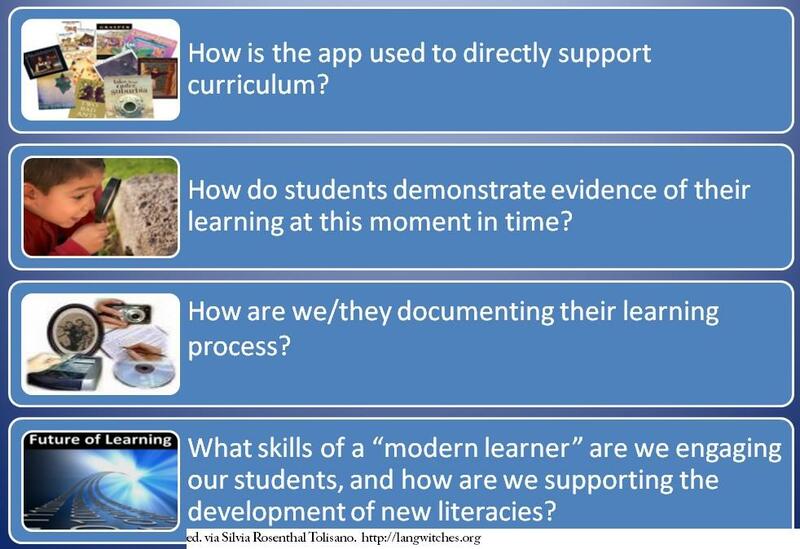 How do you create opportunities to practice questioning? Would love to hear your thoughts. Recently an email landed in my box with a link to a voicethread. For those of you who haven’t seen VoiceThread, it’s a handy tool for collaborative communication out on the web. But let’s start at the beginning. I was involved in a planning project with a school envisioning a whole flip of their library. Aaahh, “Martha Stewart” time! An “L” shaped tech research pod, e-projection island, cozy corners and circles of literary conversations, all while engaging the senses and bringing the world in and amplifying voice out. This wonderful teacher-librarian wanted to show me exactly her ideas and thoughts – without me having to drive over. She took a few photos and popped them into a voicethread along with her recorded voice. Now I’ve worked with voicethreads before but always in curricular content. It suddenly struck me as this slideshow was going on that I was privy to her thoughts with crystal clarity! Thanks Sylvia! 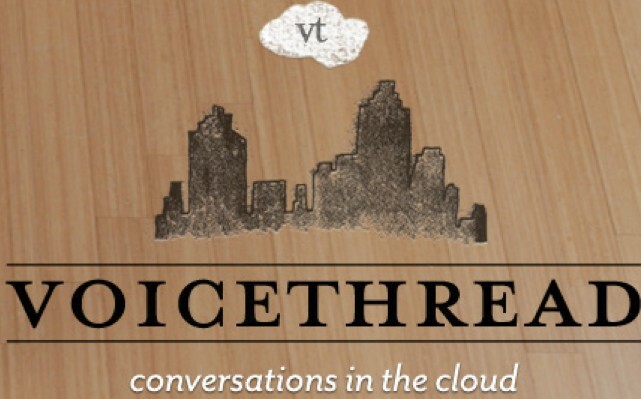 This has opened the doors to even more possibilities regarding the use of VoiceThread. How would I Now use this tool? If you’re considering this with the iPad, consider creating a global class or school account. This will make life easier. How are you using VoiceThread? District Pro-D arrived on February 22nd. Offered at two sites (Byrne Creek and Taylor Park) complete with video feed of our keynote to Taylor Park, it served as a reminder that connection, collaboration, ideas generation happen when we all come together. With over 110 sessions, it was an electrifying event. No small feat for a large school district!